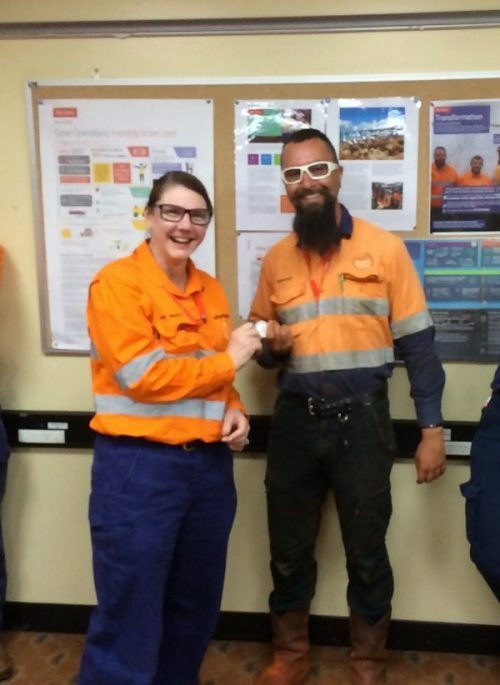 Christoph Armstrong, geotechnical engineer supervising work on site has been awarded a Stop and Seek help award by the client’s General Manager. During the toolbox that was attended by the GM, Christoph talked about his activities on site and how he identified new critical risks for routine work. The GM was so impressed with Christoph’s initiative that she decided to award him on the spot. The client’s Project Manager separately expressed his congratulations and appreciation of Christoph’s proactive approach to safety.